huge catalog of Bollywood, Hollywood and regional movies. Presently, only invitees can enjoy Airtel TV on web Airtel has sent invites to select users to access Airtel TV's new web version. So, if you happen to be one of the lucky customers, you should head to the concerned webpage - www.airtelxstream.in - to start enjoying Airtel TV on the web. To start streaming movies and shows on the desktop version of Airtel TV, you'll first need to log in using your Airtel prepaid or postpaid number. 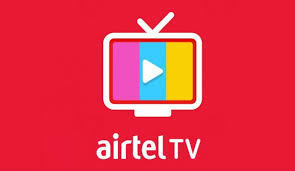 In case you haven't received the invite link, you'll be prompted to stream content on Airtel TV app. The content available on Airtel TV app and web version is quite the same except that you can enjoy Live TV on the former. On the web version, you have access to popular Bollywood and Hollywood movies including Badlapur, Manmarziyaan, Fury, and Gravity. Airtel TV also brings HOOQ-powered international content. However, you'll need Airtel TV Premium membership to access that content.